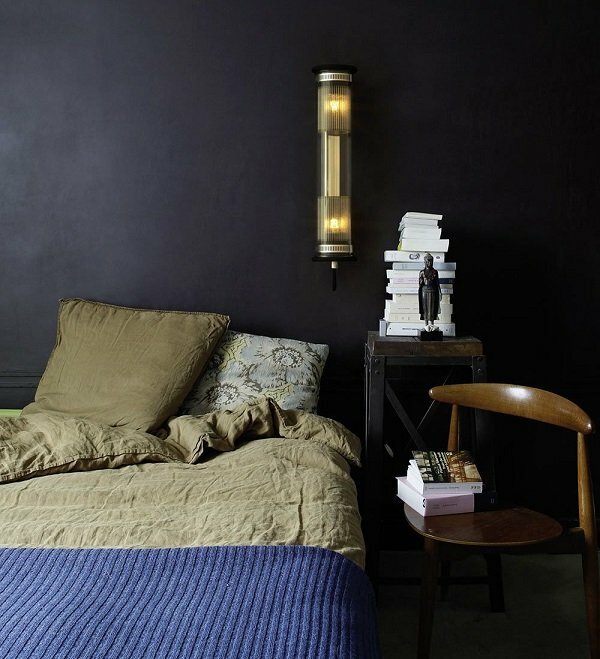 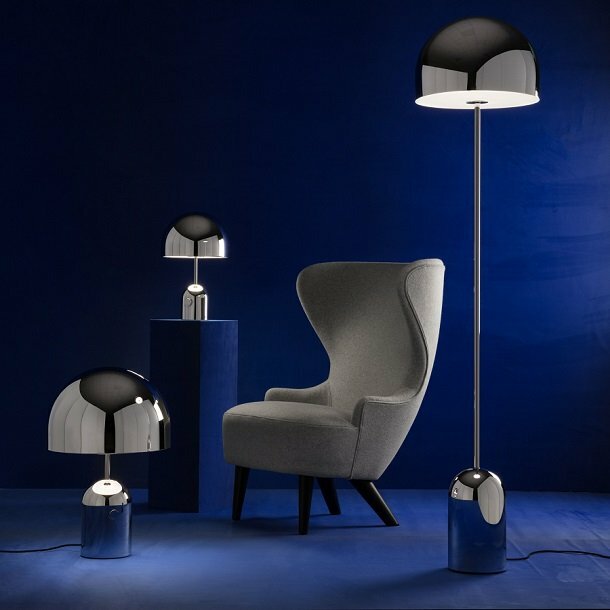 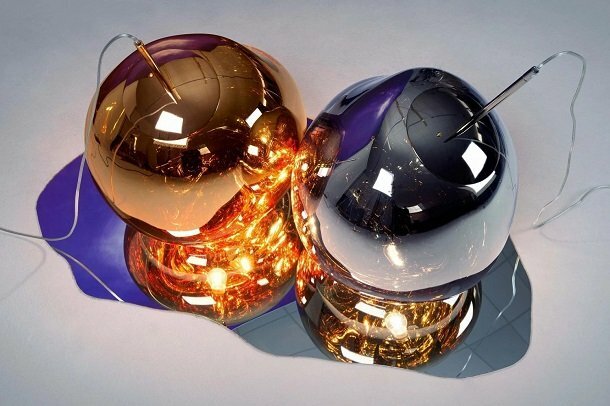 Now available at David Village Lighting: New exciting designs and cutting edge technology from Tom Dixon. 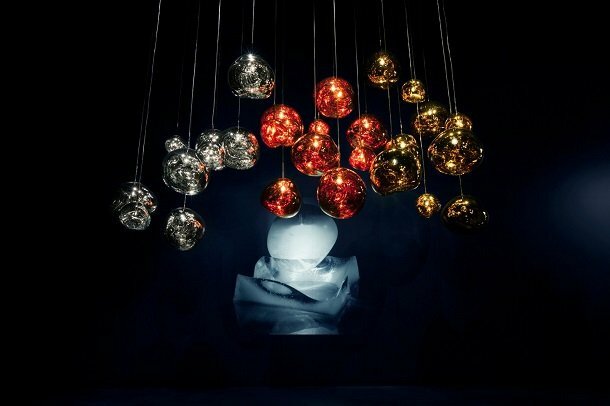 Usually, when we think of Tom Dixon, we think of cleverly metalized plastics used to produce a futuristic take on a slightly retro-inspired design such as with the Mirror Ball and Copper Round pendants. 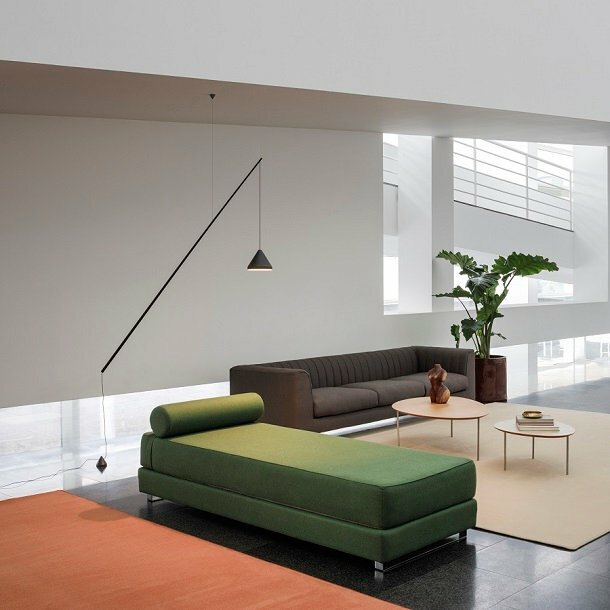 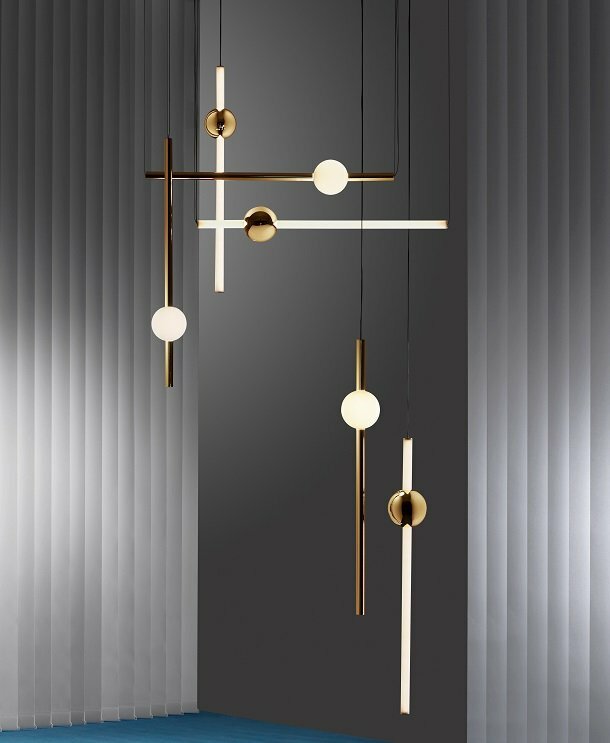 At this year’s exhibition, however, we were welcomed by a new style of Tom Dixon lighting: minimalistic, contemporary with cutting edge integral LED technology﻿. 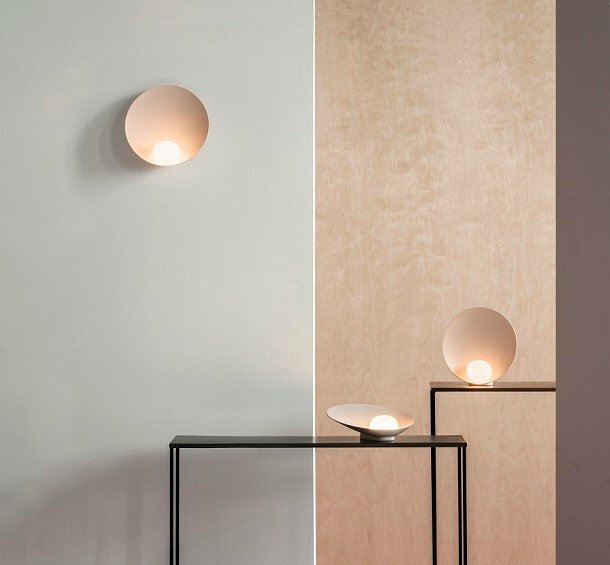 Without the effect of high shine metallic finishes, the Opal collection is a surprising move away from the brand’s iconic metallic look. 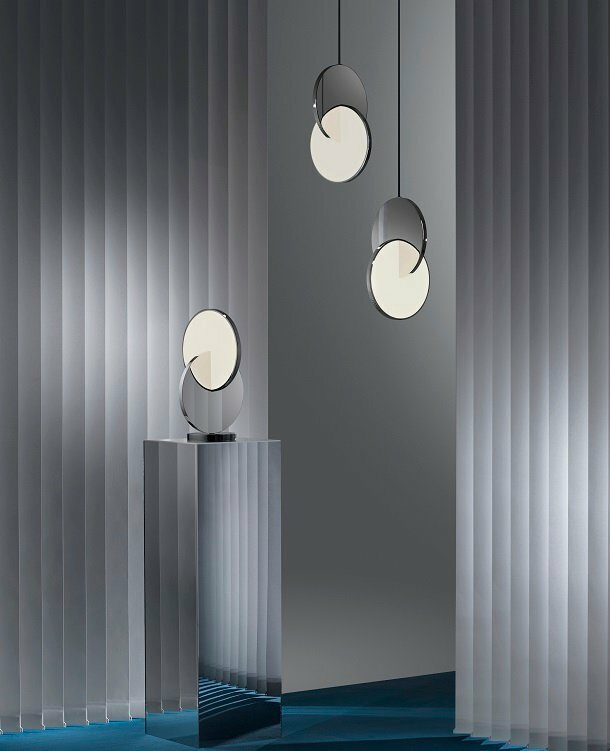 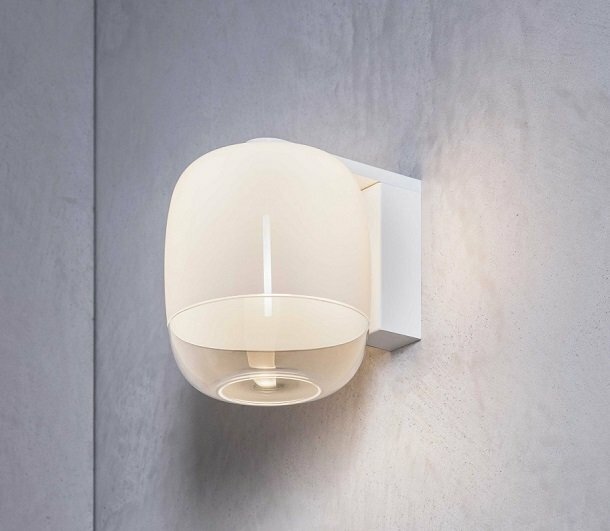 The collection maintains the brand’s retro design and use of the versatile material polycarbonate but with a pleasantly unexpected finish: the polycarbonate spheres have been specifically developed to create the opalescent effect of glass. 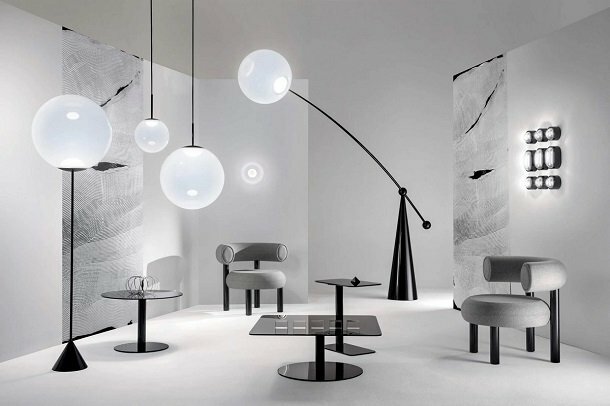 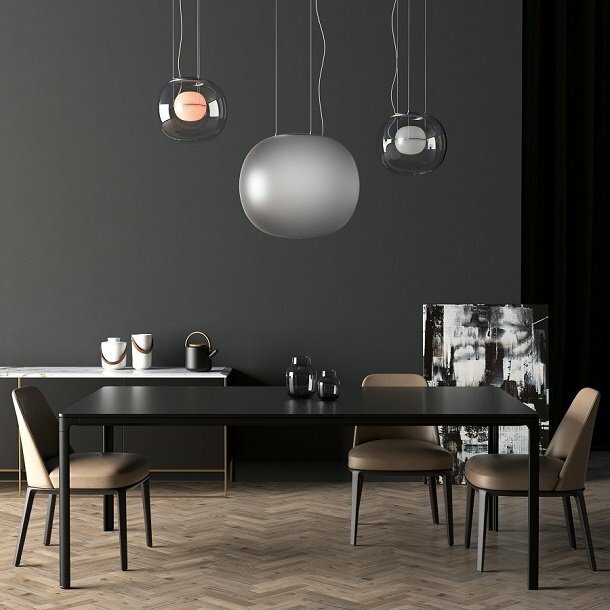 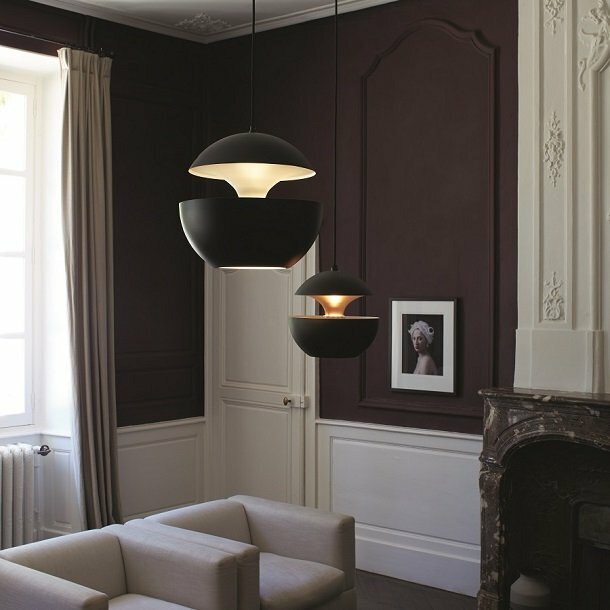 The pendants are striking but subtle in their presence, and the floor lamps are grand with their unique structures elevating the opalescent spherical feature to another level. 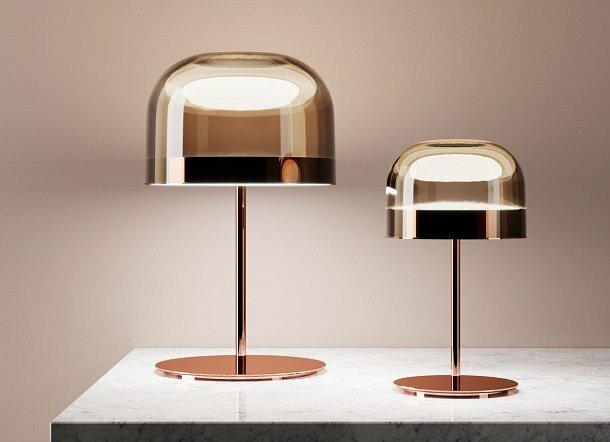 Of particular interest to us at David Village Lighting are Tom Dixon’s developments in the integral LED technology of their new products. 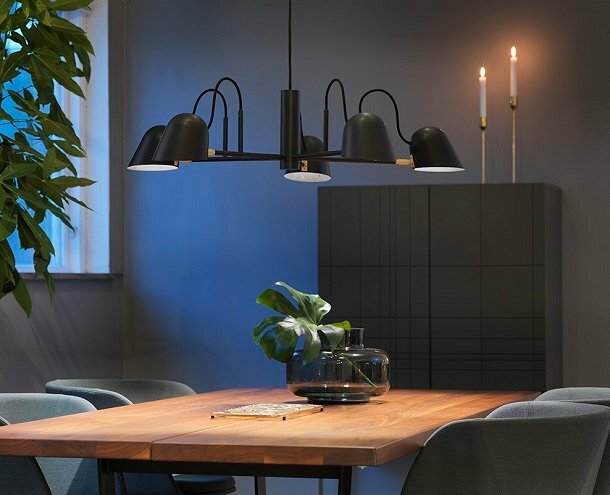 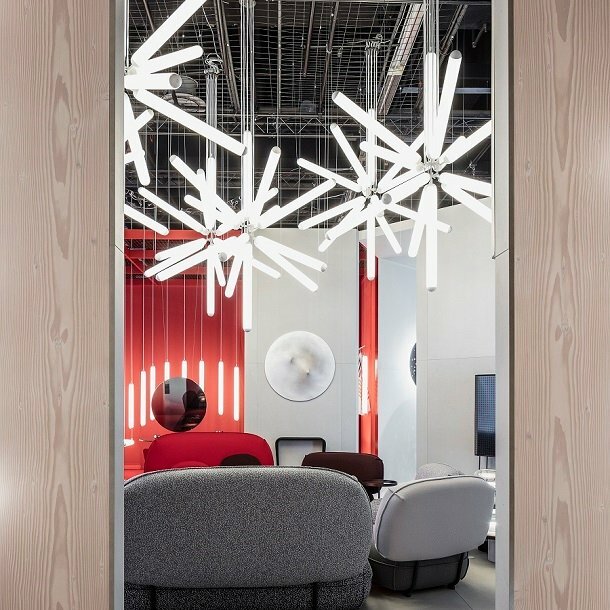 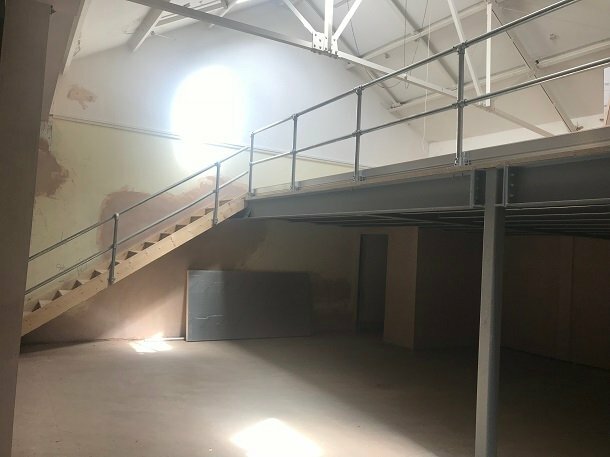 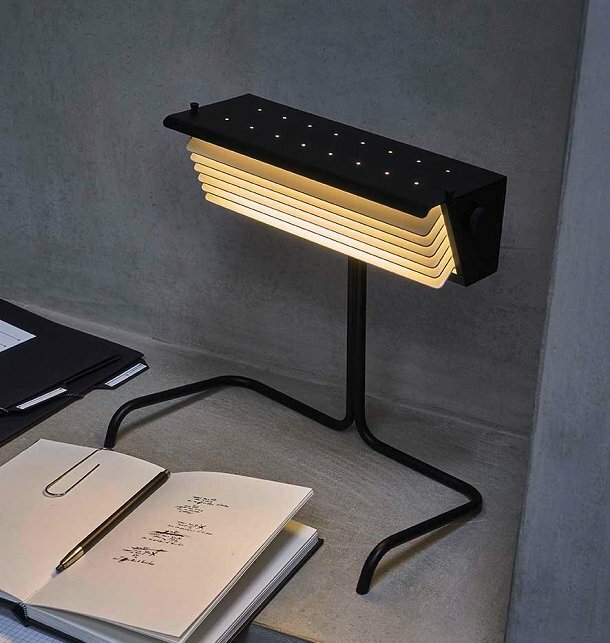 Tom Dixon have worked hard with their German Engineering partners to produce a brilliant integral LED light source, comprising of a ring of 30 LEDs for even light distribution. 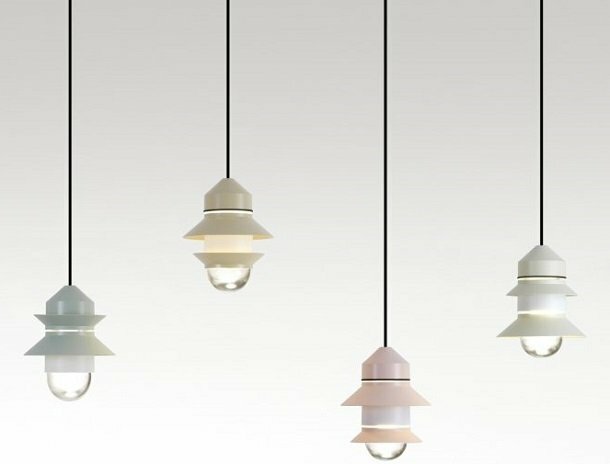 The compact nature of the light source allows Tom Dixon to use this in a multitude of their existing designs and newly developed ones. 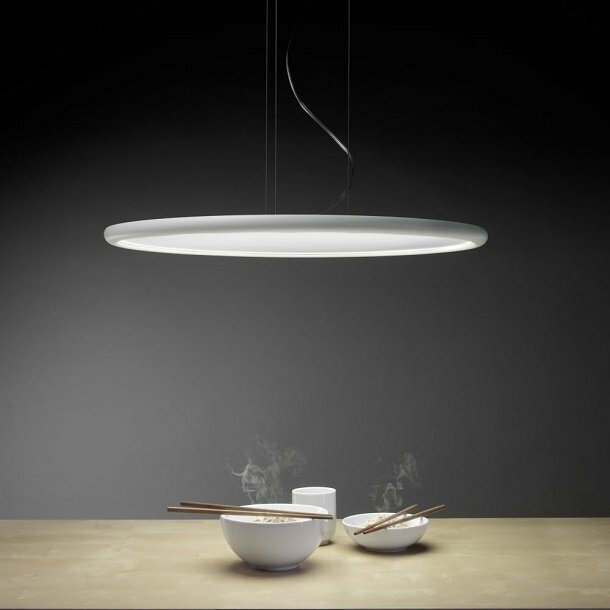 Not only does the LED ‘ring’ have a long lifetime of approximately 50,000 hours, it can also be repaired once the LED fails. 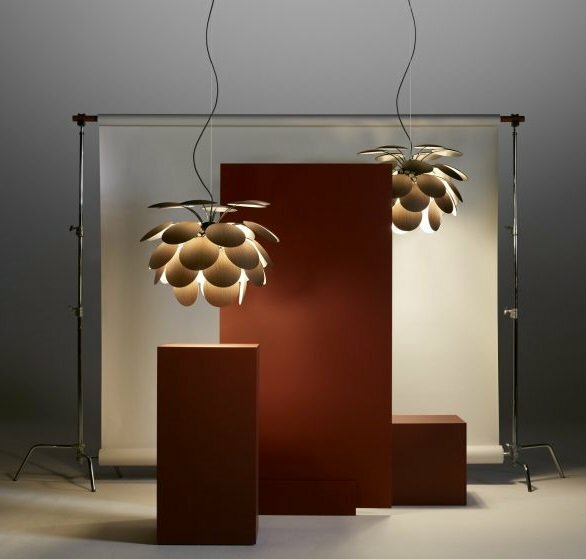 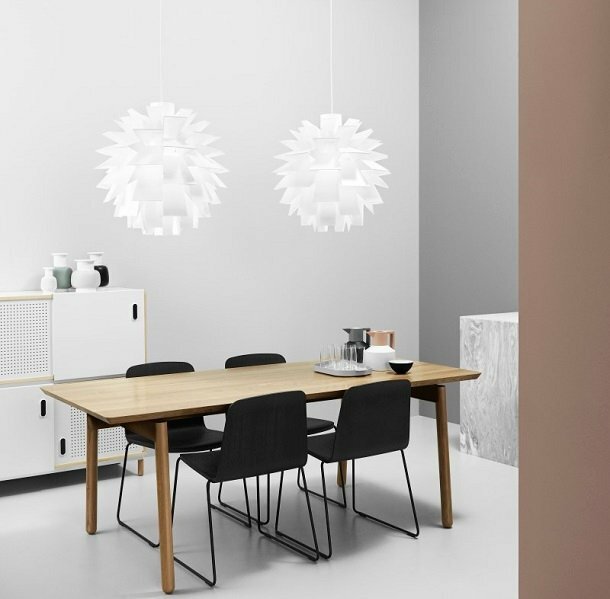 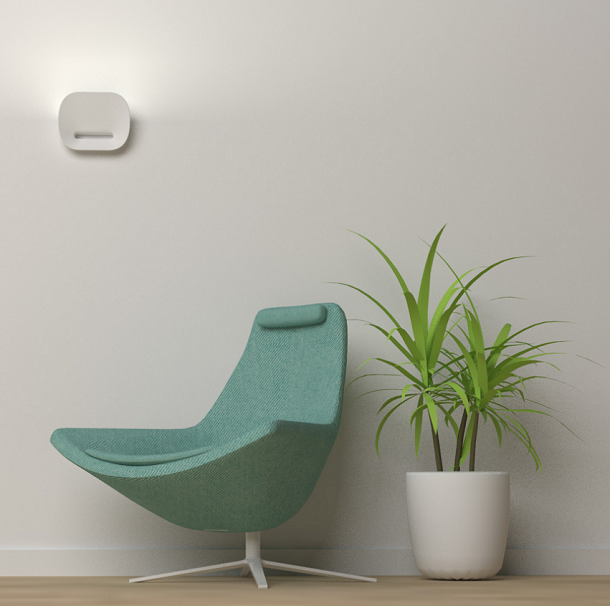 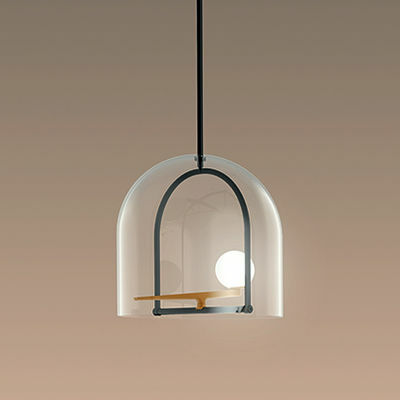 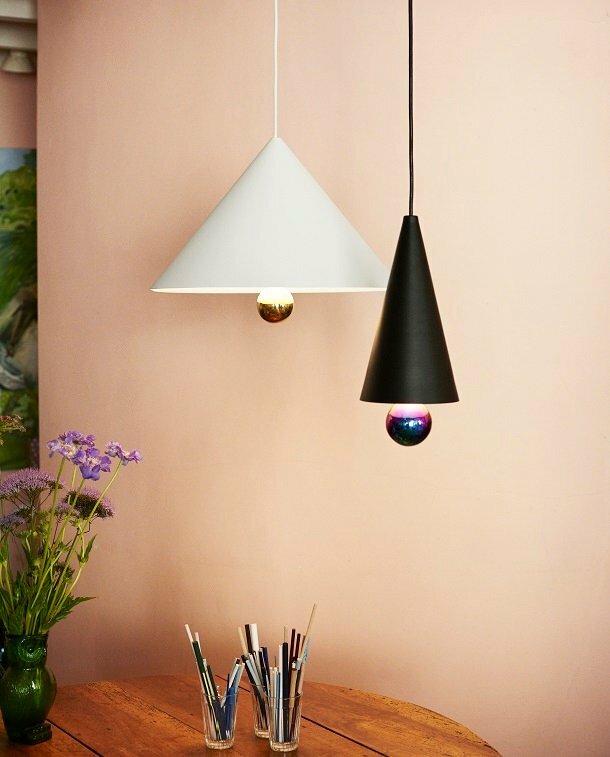 The Spring pendants share the clever LED technology which lays within the Opal light range. 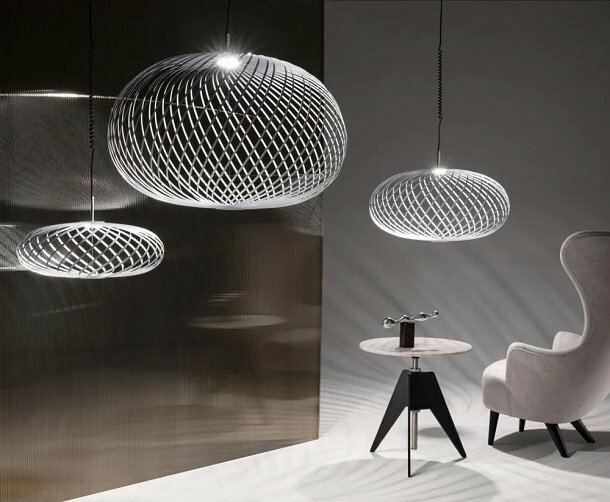 For this design Tom Dixon revert back to a metallic style, yet instead of mimicking the look of metal with a mirrored finish on polycarbonate, the Spring pendants actually are metal and are made from stainless steel strips. 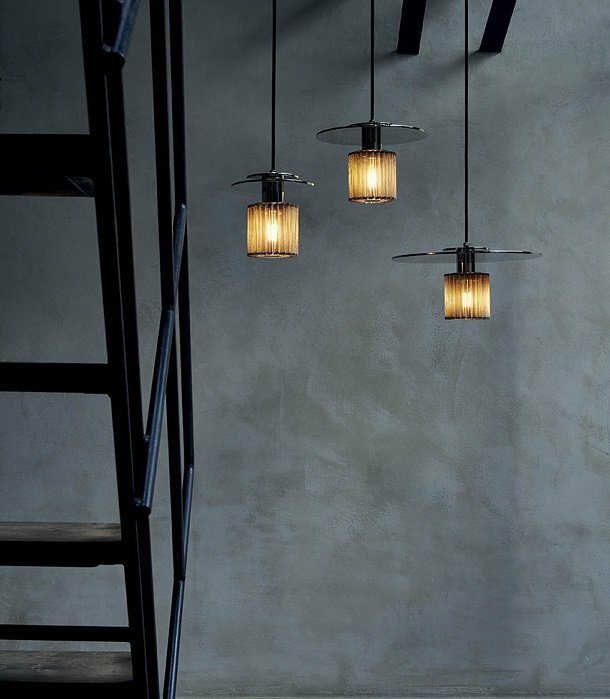 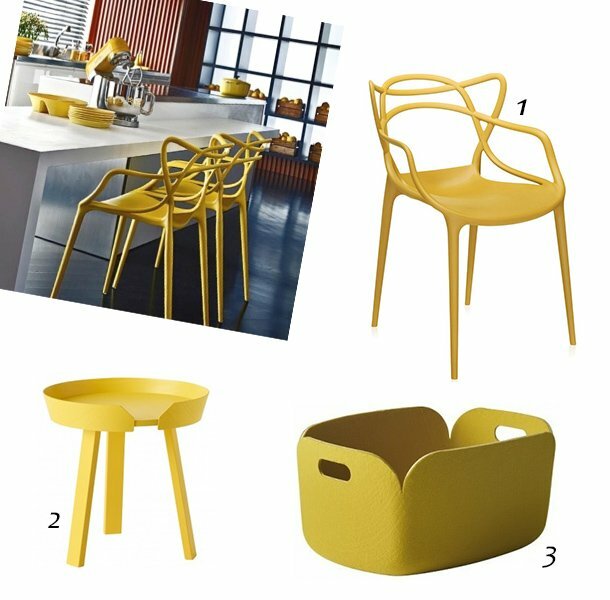 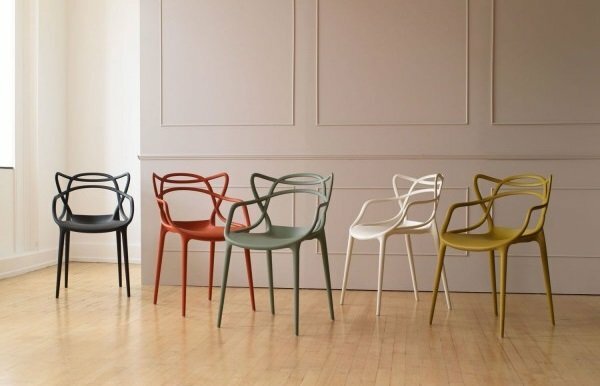 One of the benefits of Tom Dixon’s usual use of plastics is that the products are always very light. 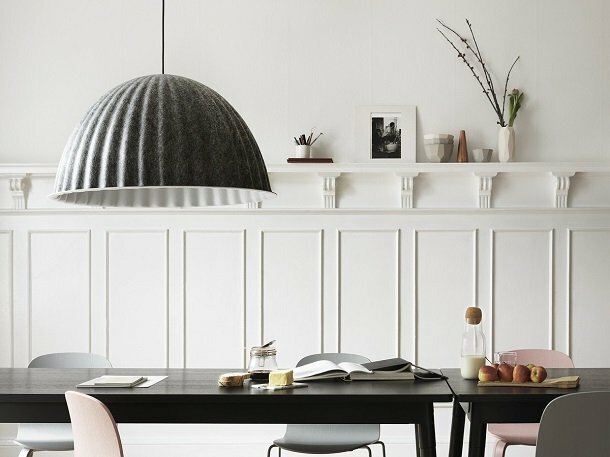 However, this benefit is not lost with the new Spring pendants: although they are made from steel, the thin ribbons create a lightweight mesh. 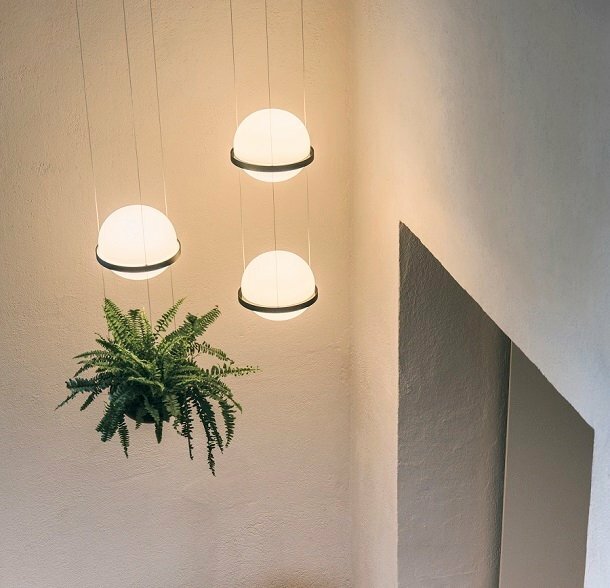 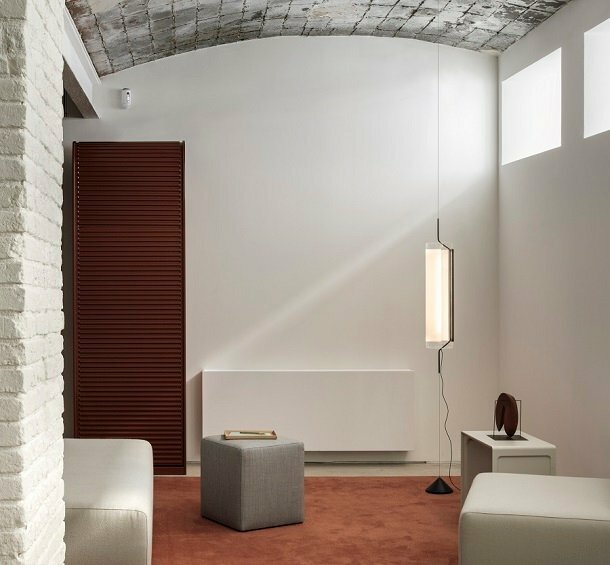 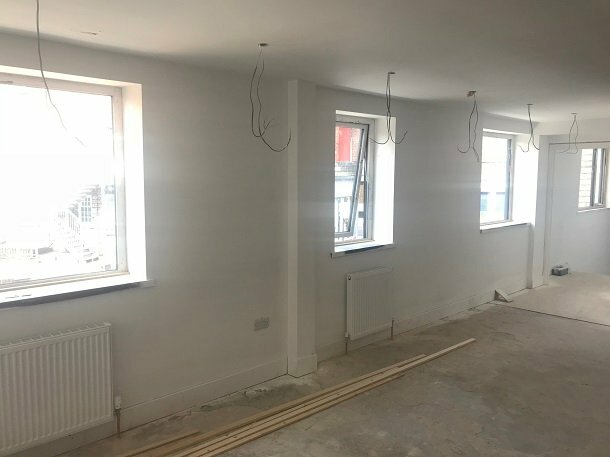 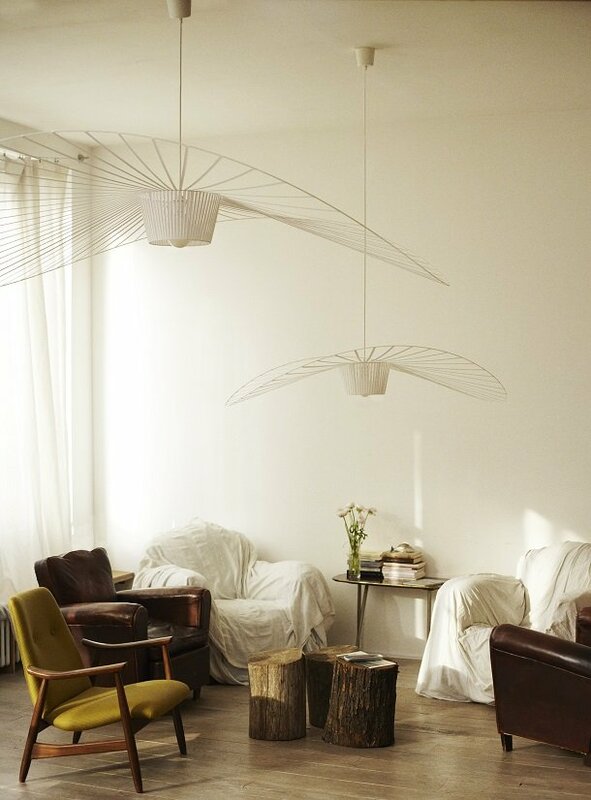 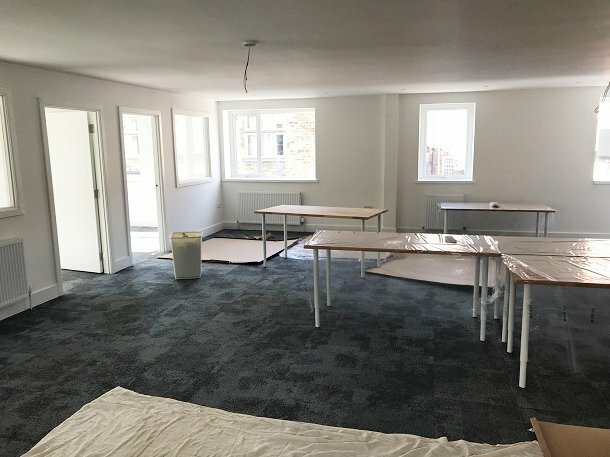 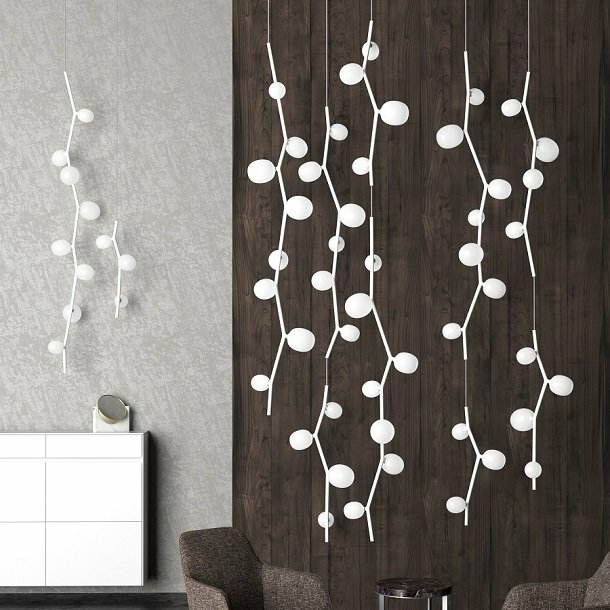 There are three sizes of pendant within this range and even as the pendant gets significantly larger in size, it does not feel intrusive due to the airy spaces between the metal strips. 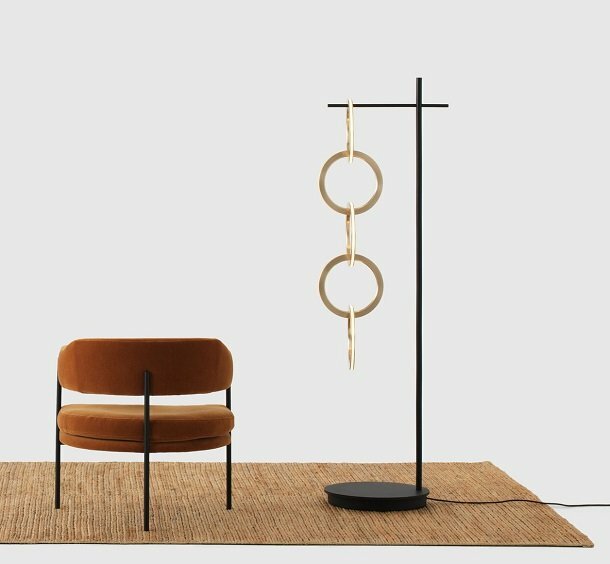 The design has been likened to a spirograph, a flying saucer and even a pumpkin. 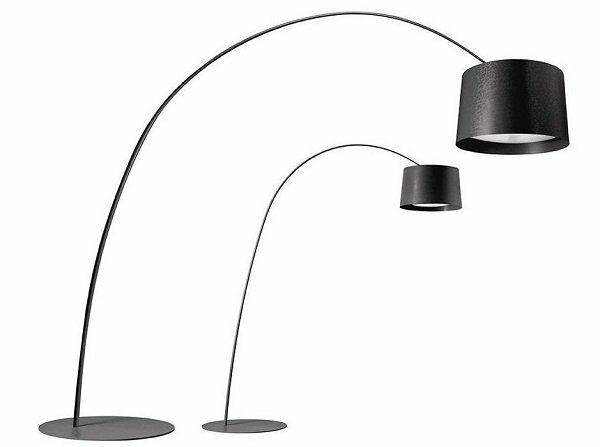 The form of the shade is designed much like that of a whisk, the strips of metal curve around the light source and meet at the bottom. 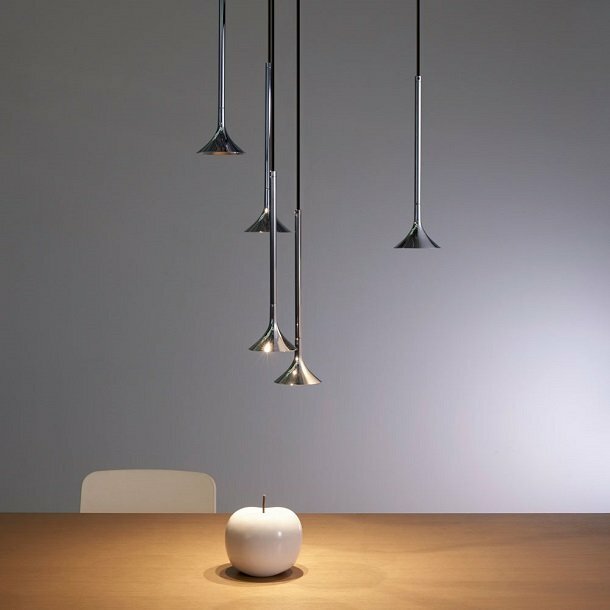 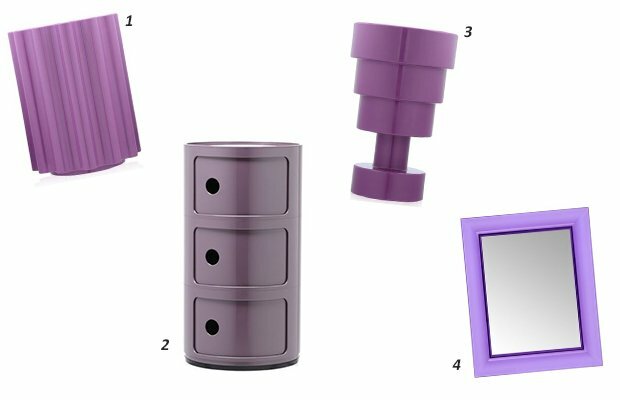 This design also allows the user to adjust the body into a shape which suits them. 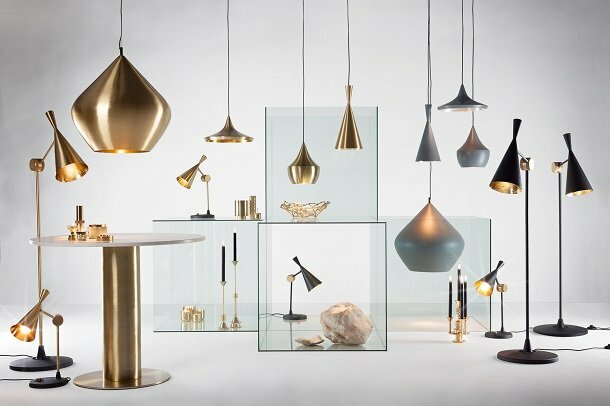 From what our team saw at the Stockholm show, a new type of Tom Dixon product is emerging: delving into new materials, refining their style and introducing cutting edge integral LED technology. 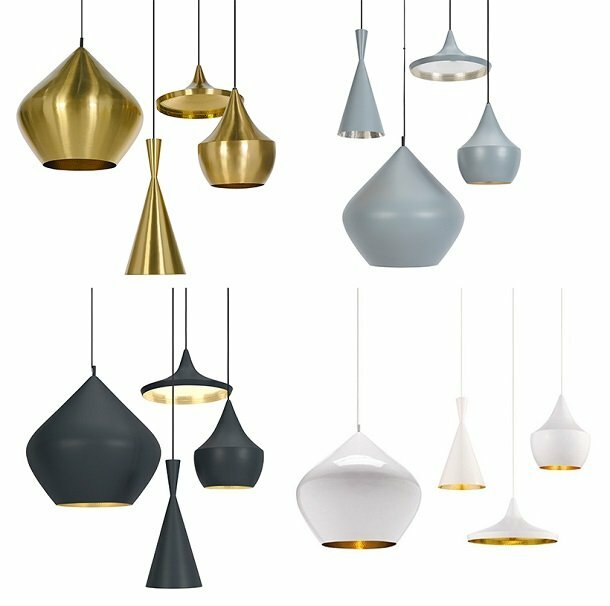 Both new ranges, the Opal collection and Spring pendants, are now available to order from our website. 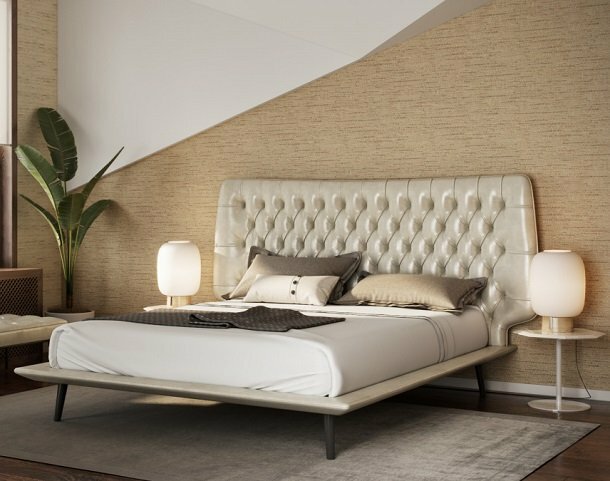 Visit us on our social sites to keep up to date on new products and what's on trend! 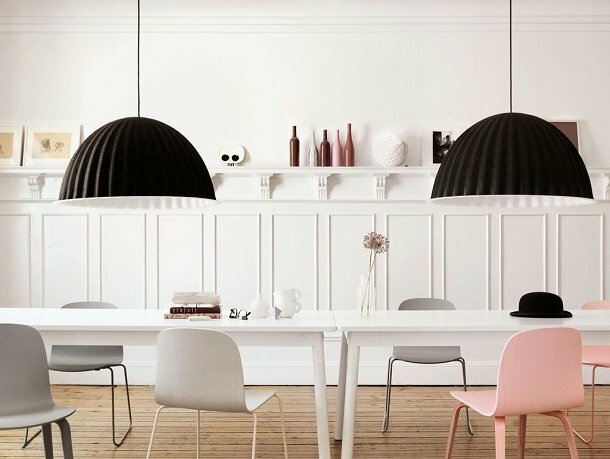 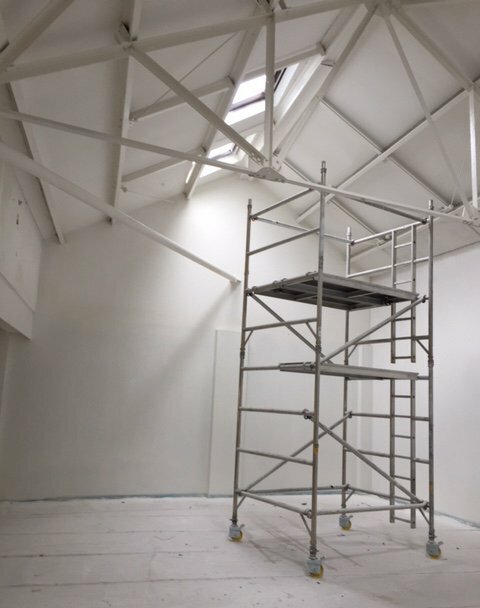 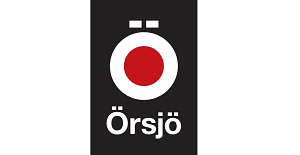 You can find us on Facebook, Twitter, Instagram and Pinterest. 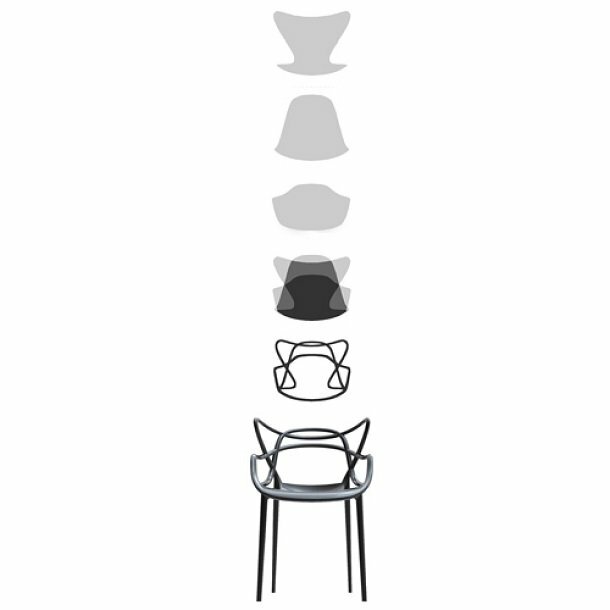 Available in four shapes: stout, tall, fat and wide, as well as four colourways. 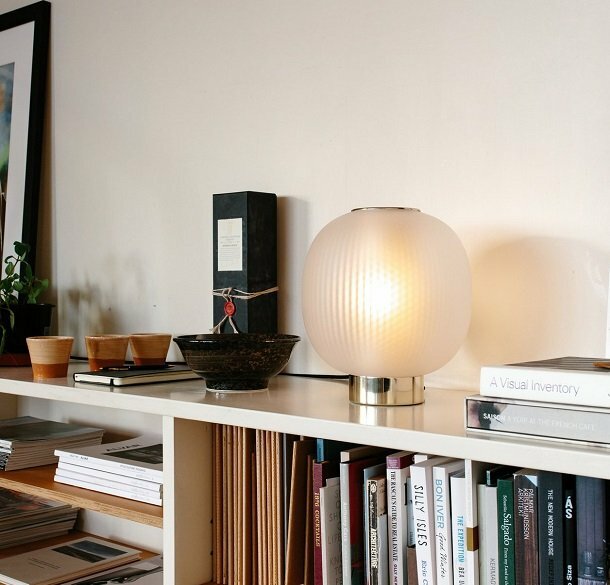 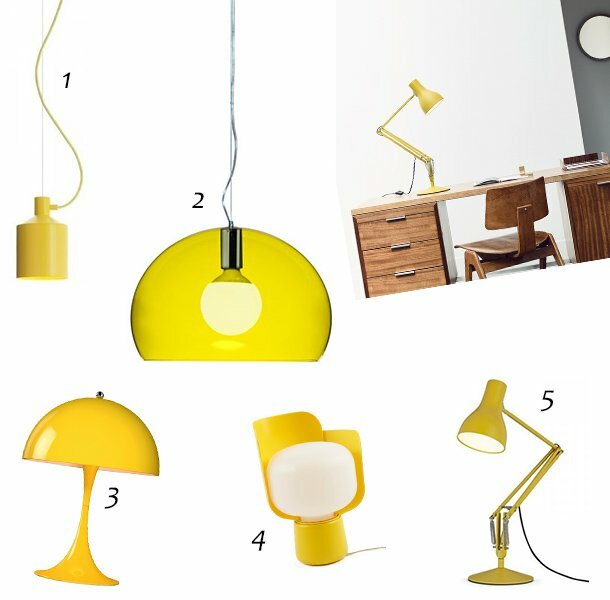 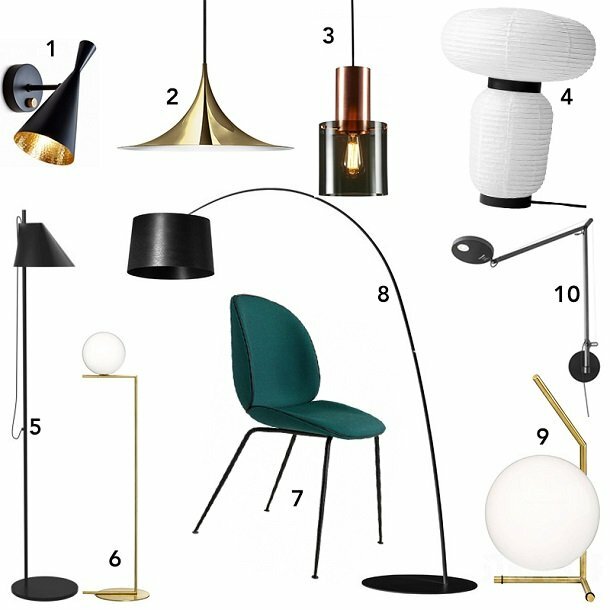 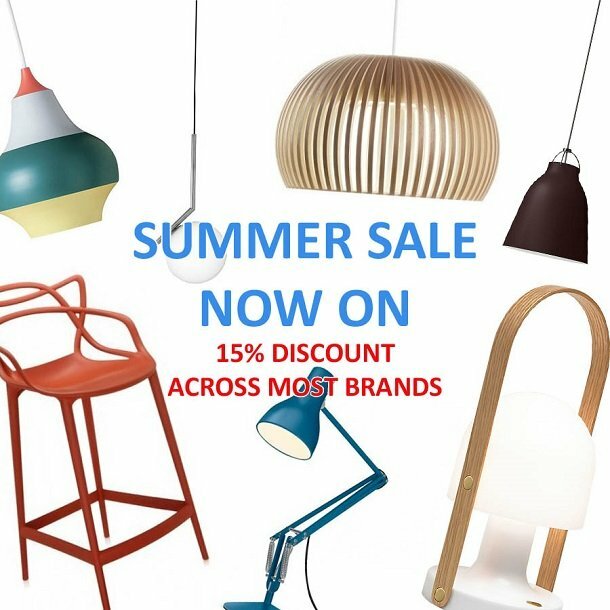 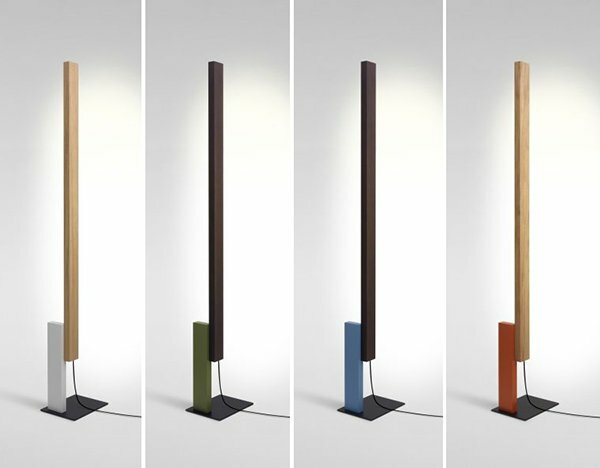 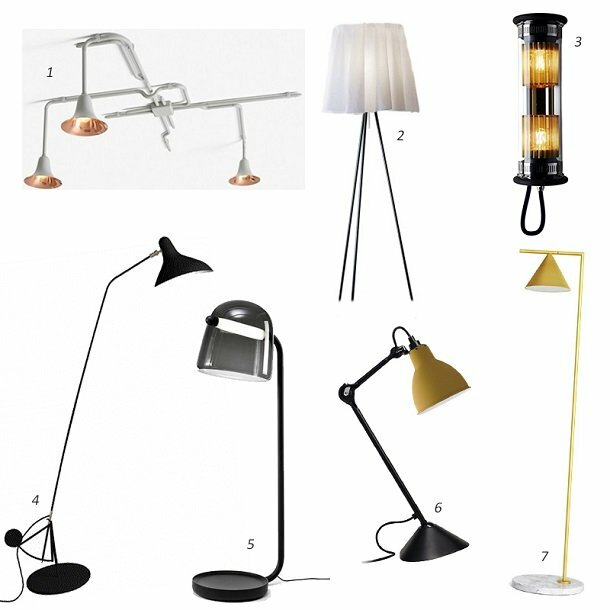 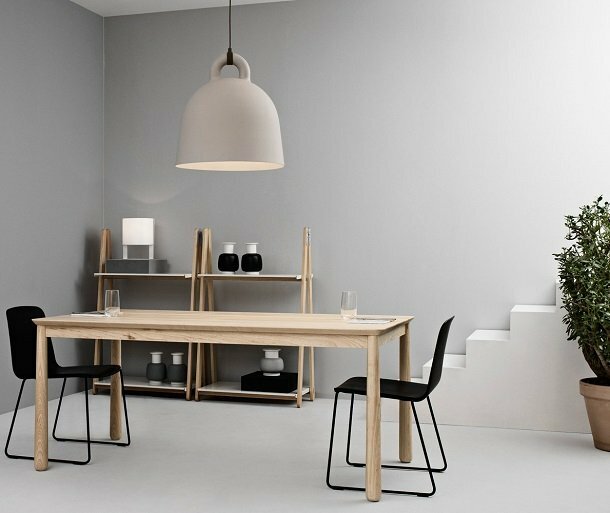 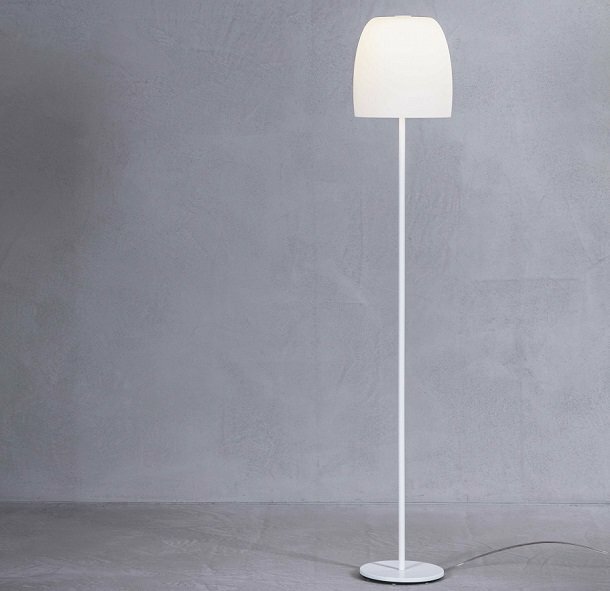 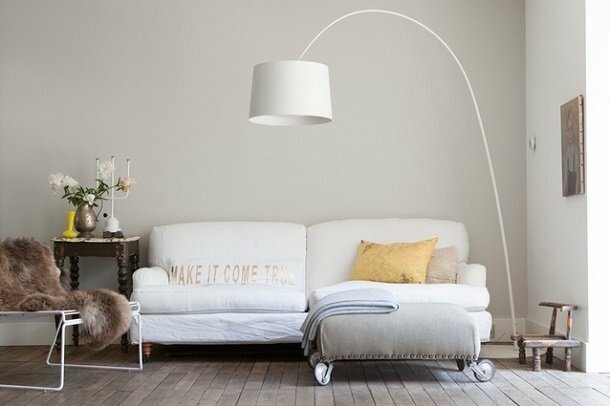 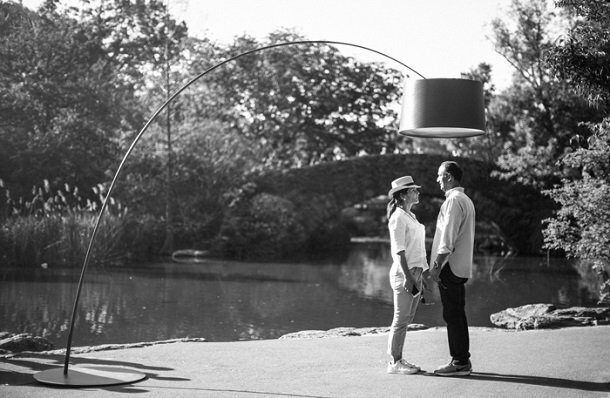 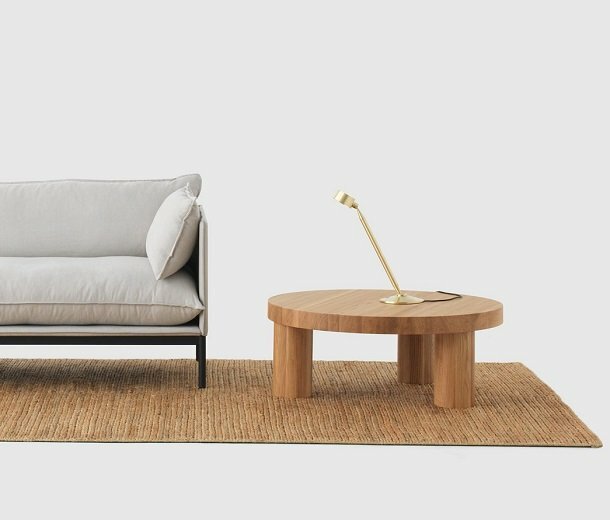 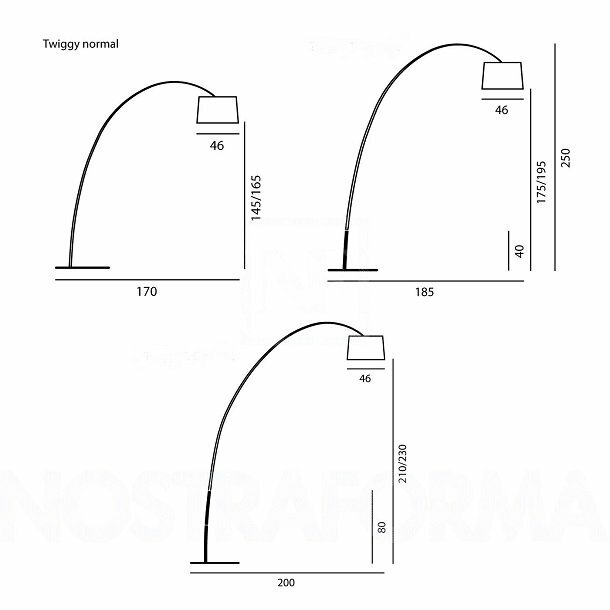 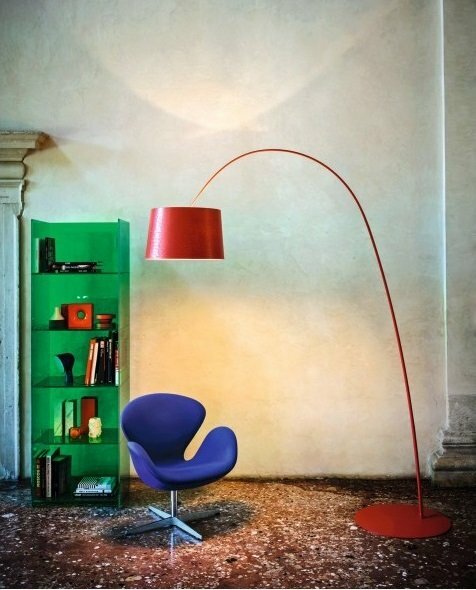 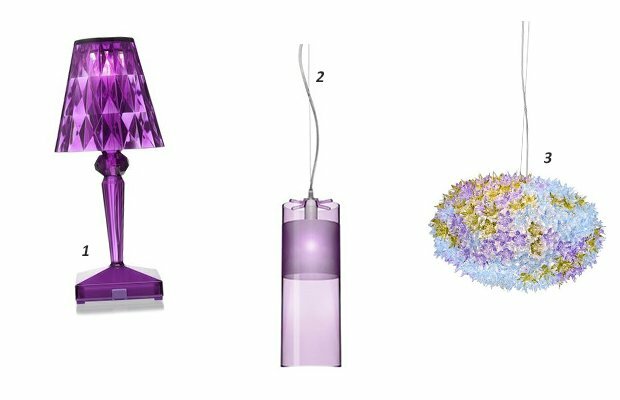 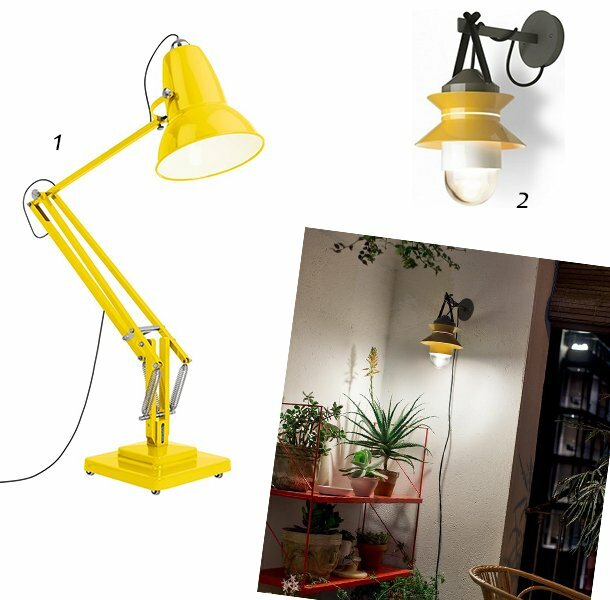 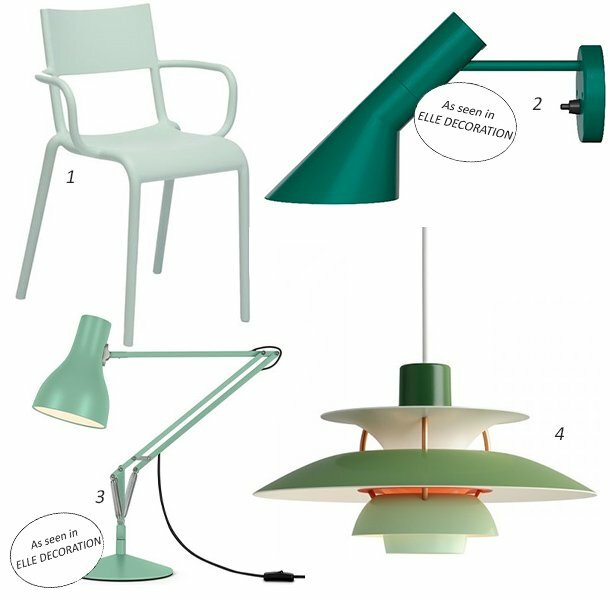 The Beat family has grown over the years due to its huge popularity, expanding to table, wall and floor lamps. 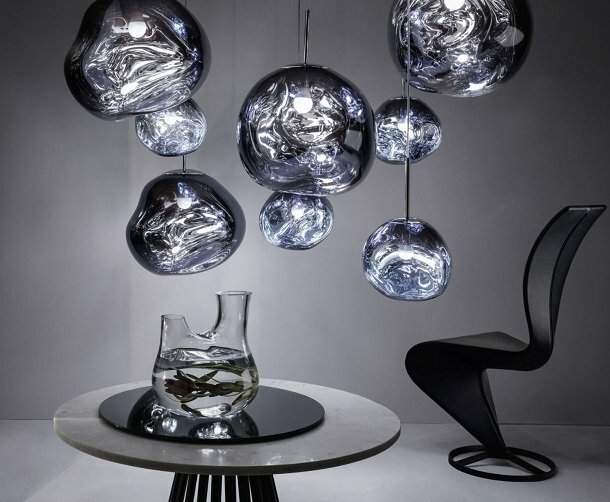 Making technological advancements into vacuum metallisation creates new possibilities, giving life to Tom Dixon’s vastly popular Melt pendant. 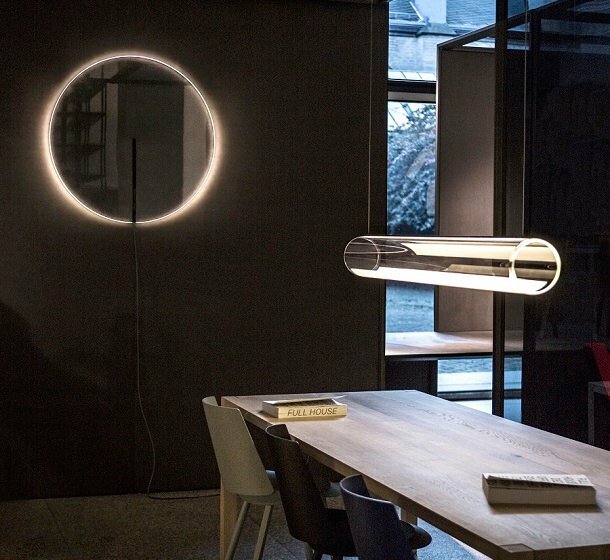 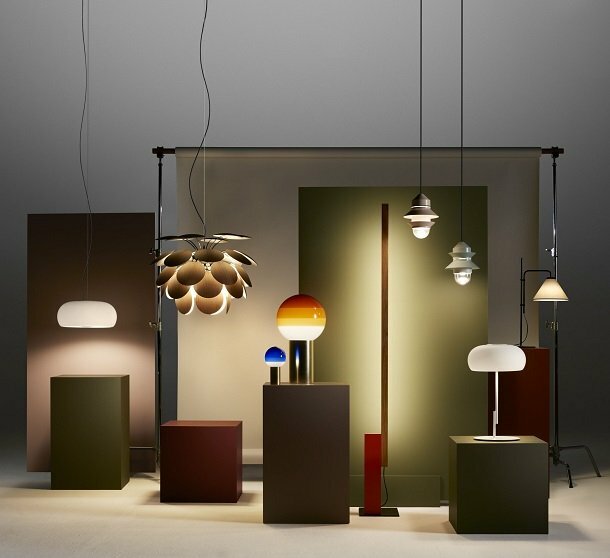 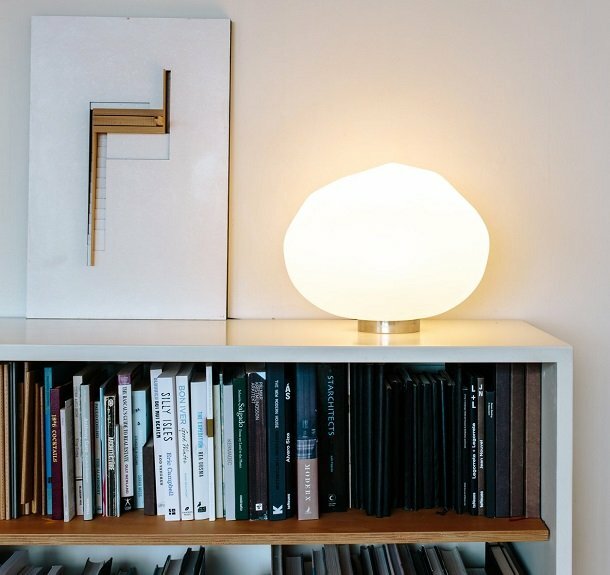 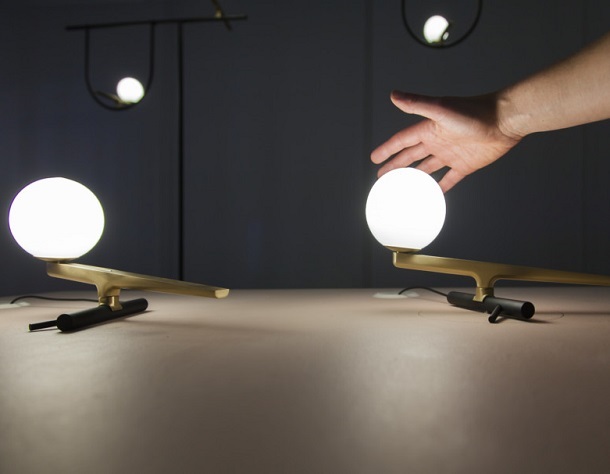 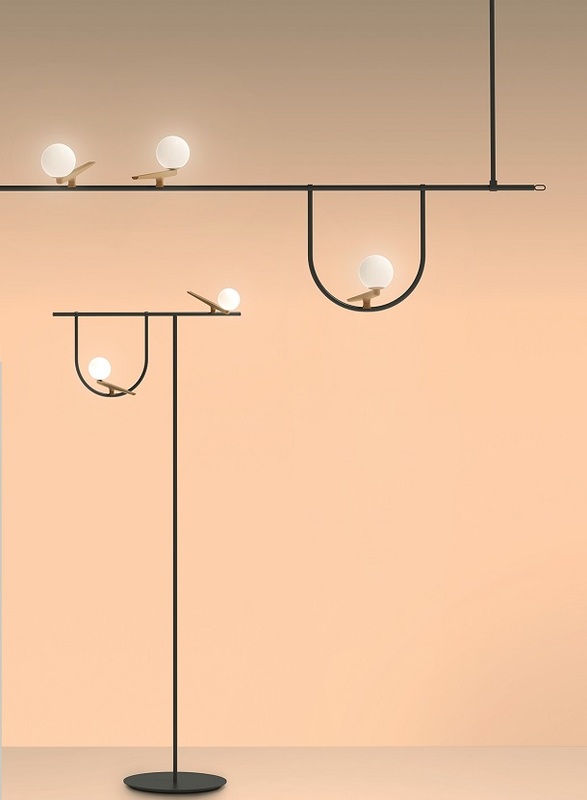 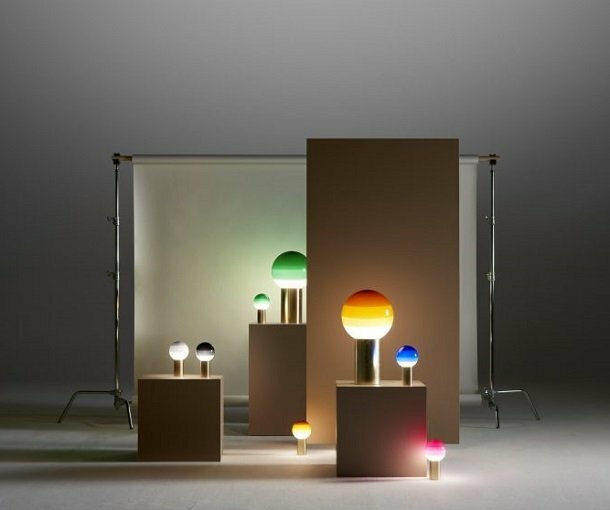 In 2015, Milan’s Salone del Mobile exhibition saw an exciting array of new and experimental lighting designs, Melt was the star! 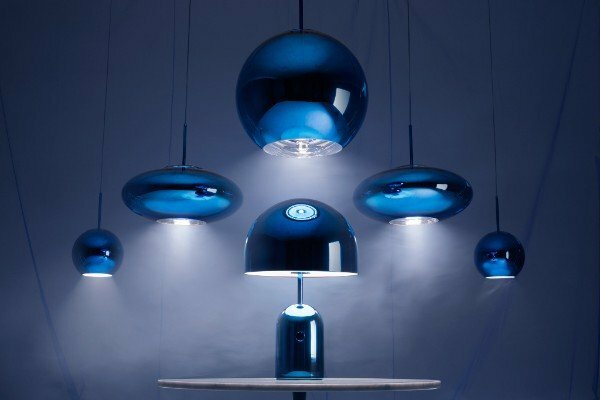 During the exhibition Tom Dixon even performed with his band under a glowing canopy of Melt pendants. 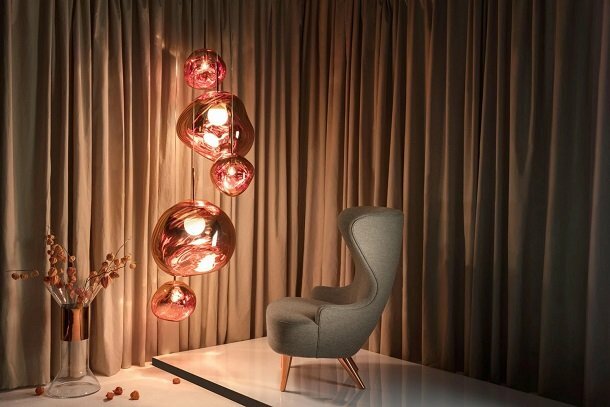 Melt resembles two pendants by Tom Dixon (Mirror ball & Copper round) which have been melted to produce this new unique design. 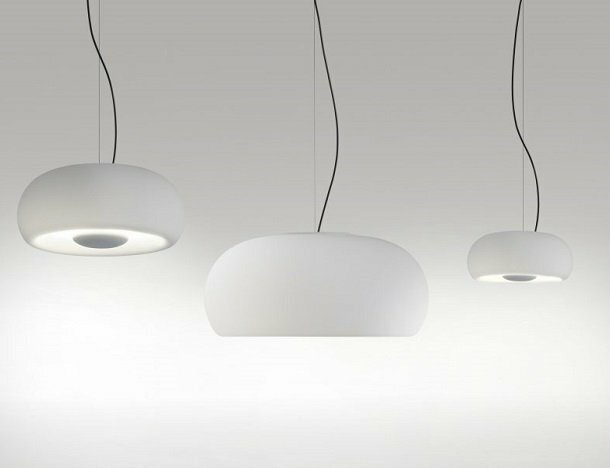 ﻿The Melt pendants take on a warped effect in the vacuum process, a key feature being the opaque metal finish when not illuminated, then glowing transparency when lit. 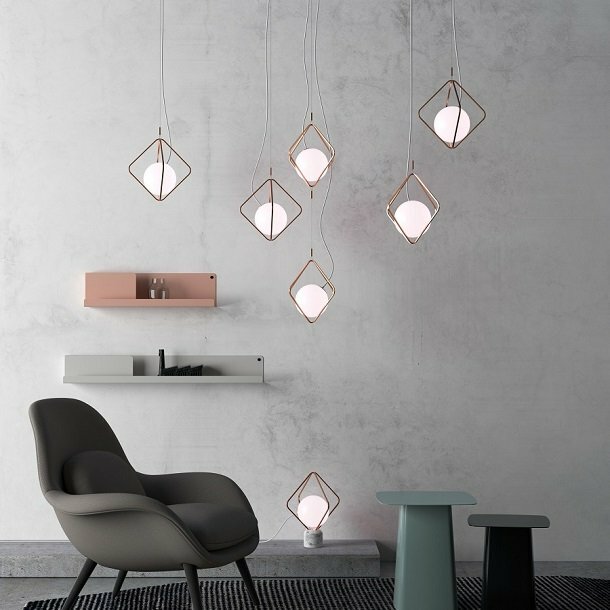 Tom Dixon’s Melt light makes the perfect cluster feature due to its irregular shape, staggering the small and large size at varied heights has a very engaging effect.